Beat the winter blahs with an afternoon and evening of musical sunshine! Sunday January 28th – More NOYSE Youth Showcase at 2pm followed by Sarah Hagen’s comic show “Perk-Up, Pianist!” at 7:30 pm. Both concerts are being held at the Vernon and District Performing Arts Centre. Special Two Concert Deal: Tickets are $40 for adults, $30 for NOCCA subscribers and $20 for youth to attend both events, as long as they are purchased at the same time. Buy tickets at http://www.ticketseller.ca or call 250-549-7469. When acclaimed classical pianist Sarah Hagen returns to Vernon Sunday, she’ll not only be tickling the ivories, she’ll be tickling funny bones. First, she’ll host More NOYSE (North Okanagan Youth Showcase of Excellence) Sunday at 2 p.m. Then, that evening, she will take the main stage with her new show, Perk up, Pianist! Both are presentations of the North Okanagan Community Concert Association (NOCCA). For the latter show, audiences shouldn’t expect hushed interludes. Instead, prepare to laugh as Hagen breaks all stereotypes of a classical concert being stuffy or elitist by injecting comedy into her performance. A self-confessed writer of uneducated wine reviews for her blog, Artist Wines!, and an enthusiastic tap dancer, Hagen has been compared to famed pianist/comic Victor Borge. 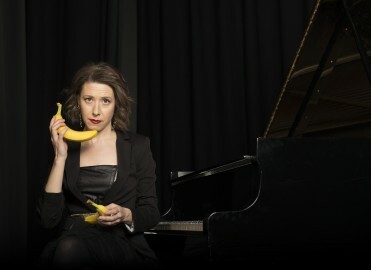 Not only is she an accomplished award winning classical pianist who has performed as an accompanist and solo artist all over the world, she has developed a show that harnesses her other talent – comic timing. In Perk up, Pianist, she peppers her performance with personal and amusing anecdotes, playing the part of a touring classical pianist who must remain optimistic in the midst of challenging and often ridiculous situations. Before Hagen takes the stage, she’ll introduce the talented youth who have been auditioned to perform at NOCCA’s second ever youth showcase. More NOYSE features pianist Brandon Schmor, cellist Holly McCallum, violinist Libby Wyse, the Jacob Soucy Quartet (trumpet, keys, drums, bass), vocalist-guitarist Shaughnessy O’Brien, vocalist Jax Dolman, violinist Marcus Coetzee, dancer Jonathon Fraser Monroe, dancer Tiernen O’Keefe, and the Inter Contemporary Dance Group from Accentz Dance Studio. 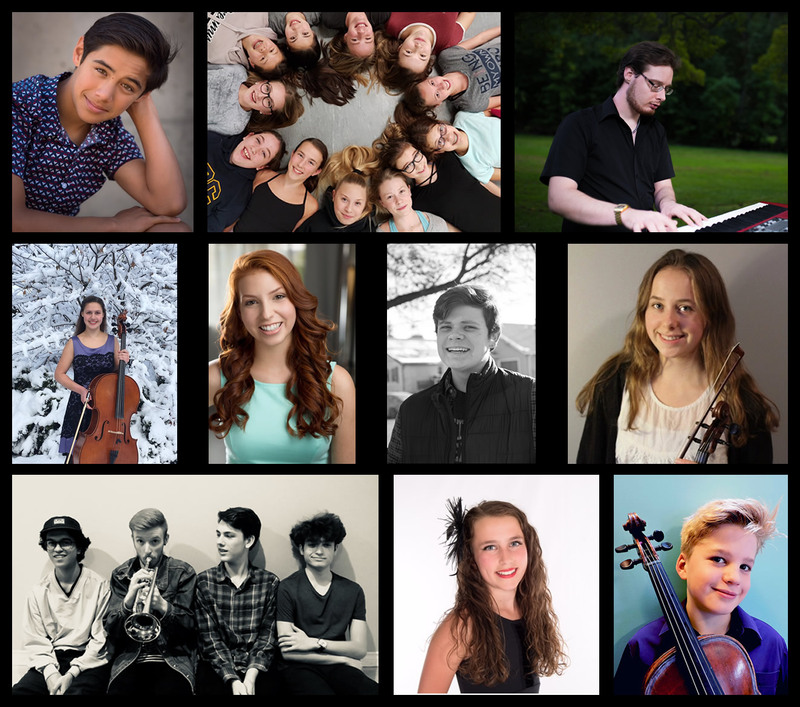 Both “More NOYSE” and “Perk up, Pianist!” are fundraising performances to establish a performing arts scholarship fund for youth in the North Okanagan. Separate from the NOCCA season, tickets for MORE NOYSE are $20 for adults, $15 for NOCCA subscribers, and $10 for youth 18 and under. Tickets for Sarah Hagen’s Perk up, Pianist! are $30 for adults, $25 for NOCCA subscribers and $20 for youth. Tickets are $40 for adults, $30 for NOCCA subscribers and $20 for youth to attend both events as long as they are purchased at the same time. Get them at Ticket Seller, 250-549-7469, www.ticketseller.ca.